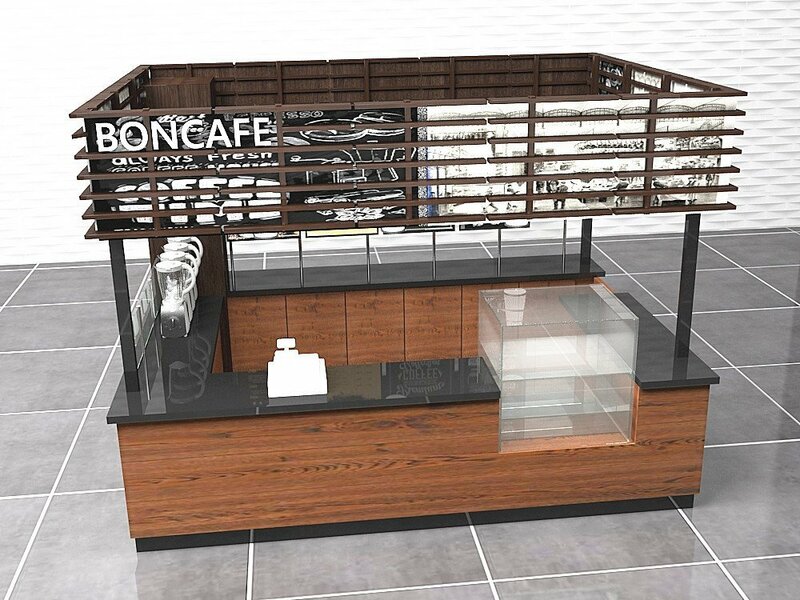 This is a mall used small coffee kiosk design for brand BONCAFE. The design concept is quite simple and classic. Because the kiosk is used for indoor mall .So you can not have a very big size with seating area. Those type of small coffee kiosk is normally a takeaway service. It’s a coffee shop where you can buy a cup of coffee . Coffee kiosk in mall are very popular business ideas. 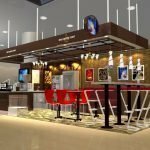 How to start a small coffee kiosk in mall ? The first step is to design the kiosk . 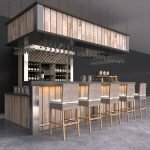 By providing the dimension of the lease you have ,Our talented designer will give you a nice coffee kiosk design with all coffee machine or other equipment fitted. Here blow is a small coffee kiosk for sale. The price for this small coffee shop is only 6200 USD , With totally newly finished. All the materials use in the cafe kiosk is fire-resistant and meet the mall criteria. Coffee kiosk is quite different from juice bar kiosk , or Ice cream kiosks . It do not need a colorful design and featured sculpture . However, A unique coffee kiosk design is a must. When manufacture a coffee kiosk the material is the most important . All the materials must follow the whole shop design. The wooden textures the lights ,and poster are all part of the whole cafe design union . If you are looking for mall kiosk business ideas or small business ideas . 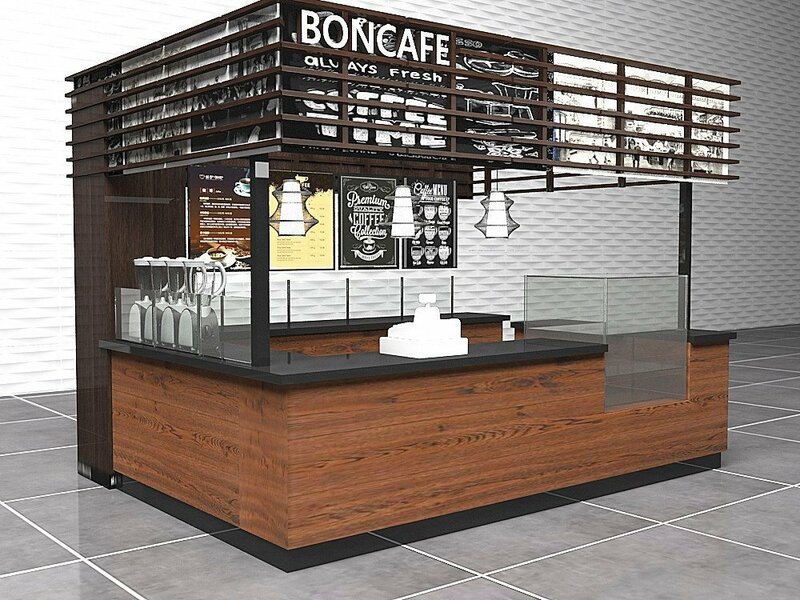 A coffee kiosk in mall will be a very good start. 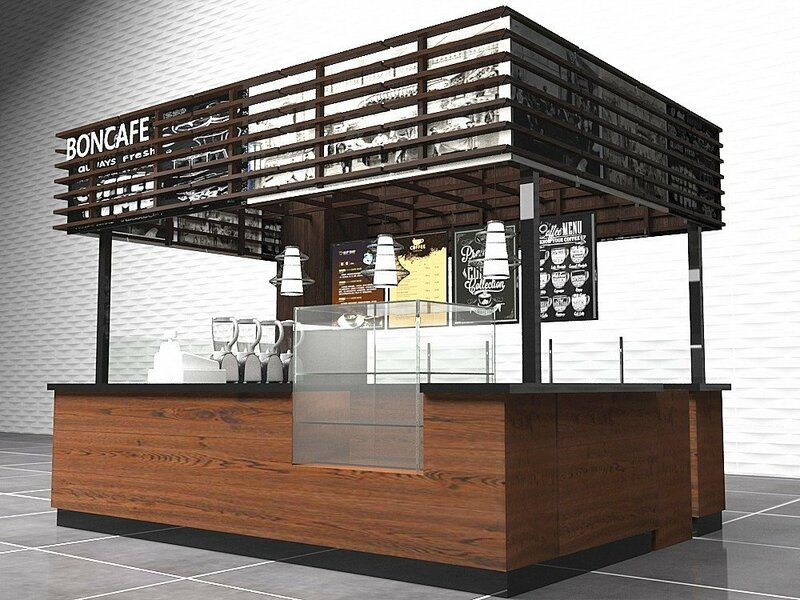 check out website and find more different types of mall coffee kiosk designs and business ideas.